Botanical Accuracy: Celery - stems, stalks, or sticks? Celery is a vegetable and plant that is prominent in American cooking, and infuses both cooked and raw dishes with its very special flavor. When I arrived in America I couldn't believe how much celery was added to tuna salads, soups, stews, and on plates with peanut butter. Back in Sweden I don't think we ever had celery in our fridge, and I can't think of one Swedish traditional recipe that has celery in it. So, it is a very common plant and food ingredient here in the US and many, many other cuisines, but it is not totally omnipresent. You would think people might like to know what part of the plant they eat, right? Well, that becomes a problem for celery. Many, many times there is big confusion about what those crunchy green celery sticks (also called 'ribs') are. First, here is the species in question, a celery plant. And here, celery from a store. Celery ribs from a supermarket. And here, the celery 'stick', the part that we eat, cut up into small, crunchy pieces. So, what part of the plant is this celery 'stick' really? What are our options? Well, plants have leaves, flowers, fruits, stems (branches, shoots, stalks), petiole (leaf stalk), pedicel (flower stalk), roots, tubers, and so on. These are the botanical names we use for plant parts. All of these can be green, but mostly leaves, stalks, and stems are green. "Celery we eat is the stem of the plant." "Celery is used around the world as a vegetable for the crisp petiole (leaf stalk)." "Is a celery stalk a stem?" Answer: "yes so is rubarb"
Answer: "No celery is a vegetable. Celery has a stem. 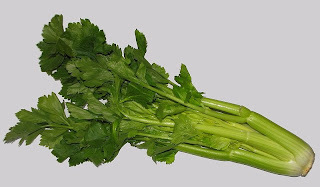 A single celery plant has lots of stems actually. Most plants and trees have stems which are sometimes referred to as stalks." 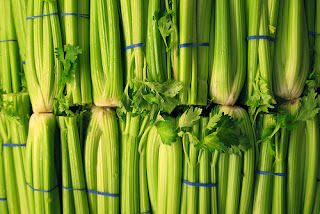 "A collection of long, thick, juicy stalks around a central, tender heart"
The Cook's Thesaurus lists celery as a 'Stalk Vegetable'. 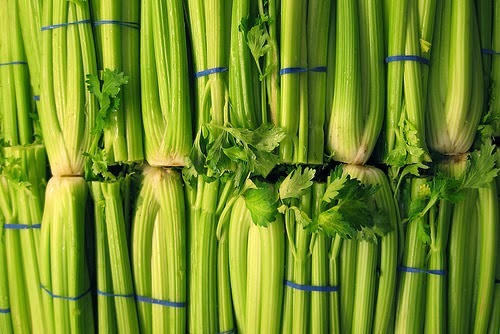 "By most definitions, a whole head of celery is a stalk and a single "stick" from the stalk is a rib. Some dictionaries use the accurate but clunky term "leafstalk" for a single rib." Well, the confusion is total. 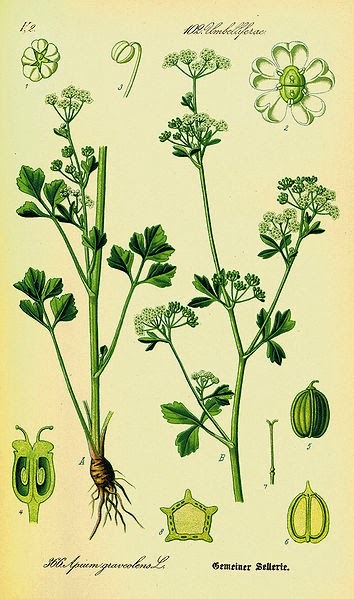 The 'celery rib' that we cut off the plant and chop up or put peanut butter on is, based on internet facts, a stem, stalk, leafstalk, and petiole, all at the same time. This is not possible. It is one thing and one thing only. Look at the plant. At the top of your rib or stick are some leaves (unless you have cut them off, they were there before). Only leaves. There are no flowers, no growing part (with buds) that can lead to a stem that grows taller and taller, no fruits, no roots. At the bottom of the rib is a white area and then a broadened base. You can easily break of a rib from the rest of the plant in your hand. Celery, as you buy it in the stores. Leaves are attached to stems and branches. Where is the stem on the celery? It is that small, disk-shaped woody part in the center of the plant. The roots have been cut off, so you no longer see them. But how does celery grow bigger and taller? When the plant is old enough it will shoot up one stem in the center of the leaves, and that stem will then grow taller than the leaves around it, have smaller leaves on it, and eventually flower and set seed high above the leaves at the base. Look at the first picture on this blogpost to see a flowering celery. The parts of a plant. Note stem, leaf, and petiole. So, celery sticks and ribs are not stems. They are part of the leaf, in fact, they are the leaf stalk, which is also called petiole. There are other ways to determine this too. If you cut the celery rib across you can see many veins in it, and they are arranged as a U. In most flowering plant stems, the veins are arranged in a circle, unless if it is a monocot, then the veins are arranged in a random scattered pattern. So, when you eat celery you eat the bottom part of the leaf, a fleshy petiole. Even if it doesn't look like a leaf, it is part of the leaf. One of the big problems here is that the word 'stalk' can be used for so many parts of a plant, including stem, leaf stalk, flower stalk, etc. No wonder people get confused. In rhubarb you also eat the petioles (contrary to the answer on Wiki.Answers.com above). So who got it right in the quotes above? Well, strictly speaking, only Wikipedia provided a completely correct answer. 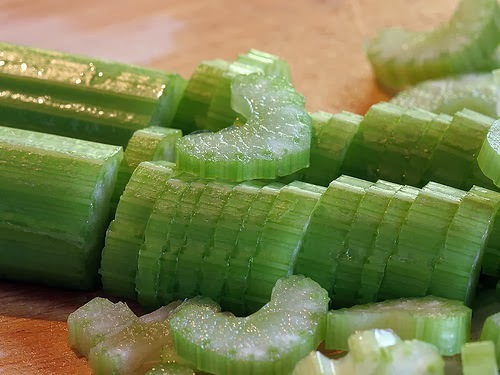 What is maybe most dismaying is that there are many biology lesson plans out there where teachers are told to cut celery ribs and put them in water with food coloring to show how water moves through stems (example). (Some lesson plans get it right too, of course). 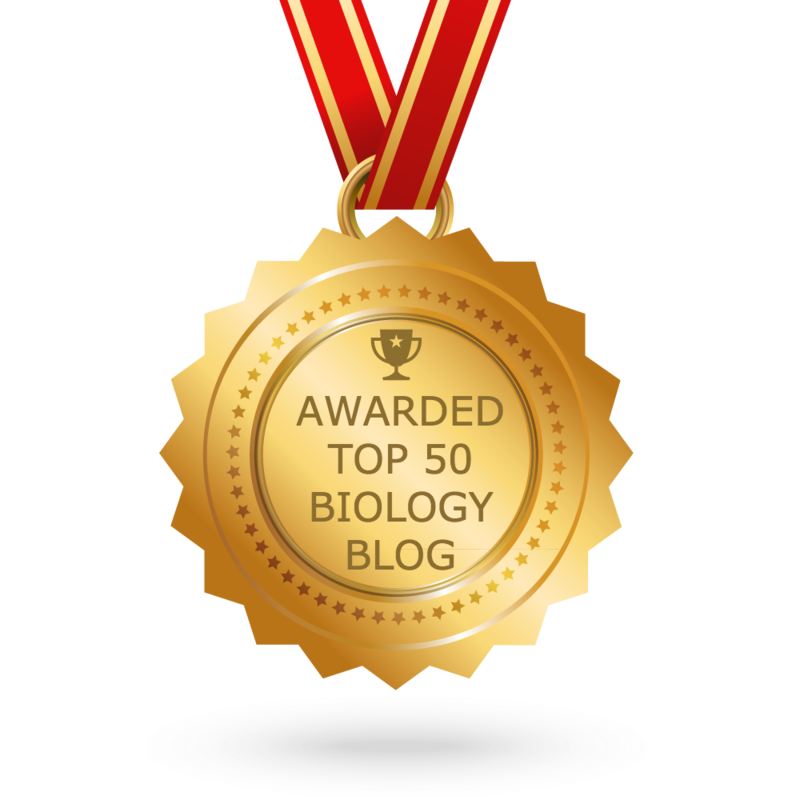 Sorry teachers, you are showing how water and nutrients are moving in a leaf, not in a stem. 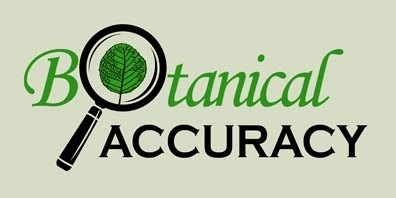 And that makes a difference both to the plant and to scientific understanding among children and college students.